eternaLight(tm) Model 3X - "ErgoXRay"
The classiest of our Ergo series! 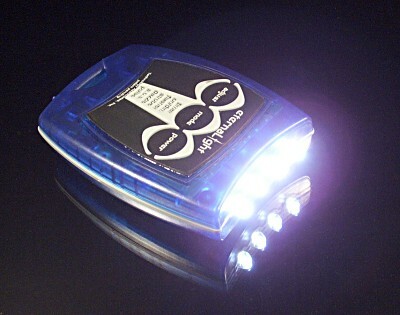 In a translucent blue, black and silver color scheme. Featuring our exclusive NightBeacon(tm) function, our inverted membrane for maximum tactile feedback. The ErgoXRay(tm) may be the most useful and versatile flashlight you could ever own! Same features and shape as Model 3 but in Translucent Blue. FLOATS in fresh and salt water when equipped with AA Lithium batteries. Equipped with Energizer AA alkaline batteries. Web price Only $44.99 each!